Any source for inner wheel housings? If that's all the worse it is, just fashion some local patches. Otherwise, as you say, you'd need to scavenge from another car - or have someone down south here cut some out and send them to you. 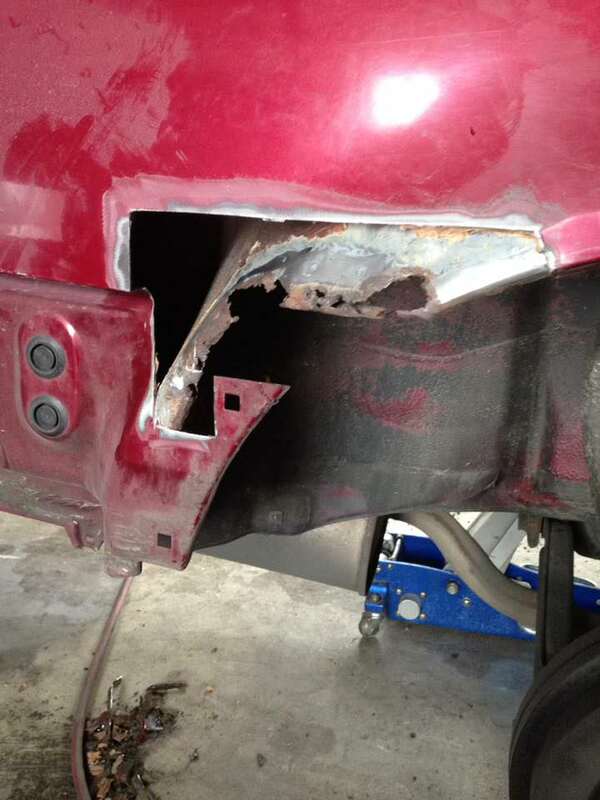 My 90 sedan was a lot worse; I was able to get both the outer and inner from a single car for $100 per side. The outer half of the wheel tub is part of a much larger piece. The thread below shows how I went about replacing the rusted part of mine. Last edited by fleetw00d; 04-05-2018 at 08:21 PM. I'm in the same boat. I'm going to weld the inside directly to the outside. In my opinion, this is much better than having two sheets on top of each other because there's no room for mud and moist to pile up and cause rust, again. Between two sheets is where rust starts, 99% of the time. I decided to just wing it and fashion some patch panels myself, takes a lot of time to get them looking somewhat OEM instead of just slapping metal in. It's VERY difficult to weld in there without having the entire quarter panel off, not much room to maneuver the MIG torch. Temporarily mounted the bumper to check alignment, looks good! Last edited by Yodamaster; 05-16-2018 at 06:50 PM. You're lucky you still have the mounting points there. 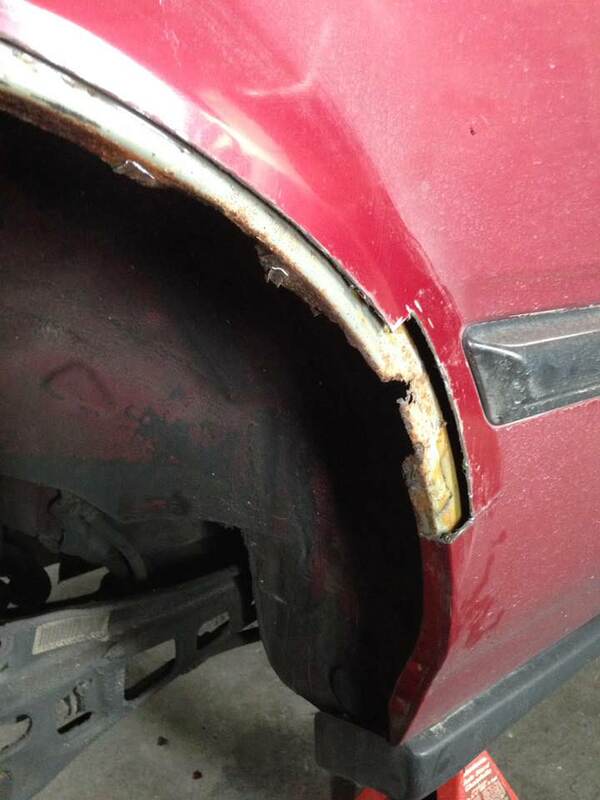 Many times, by the time you have significant rust above the bumper, that lower area is gone and the bumper is sagging. How'd your repair turn out?